Profit Replicator App is a new binary options auto trader that promises to make you $7250 today after creating your free account. The product is created by Michael Griffin who promises that his software will make you tens of thousands of dollars per month. Today I’ll be reviewing this system and letting you know if it’s an actual trading product or another scam riddled with lies and deception. Sadly, it’s likely to be the latter. The sales page consists of a video, an email subscription form and two separate testimonial areas. It’s funny, in the last review I just finished the product producers put the BBB Accredited Business logo on their site and here it is again. In doing a quick check on the Better Business Bureau website, it’s apparent that the Profit Replicator App is not accredited. Obviously the developers put this logo on their site to make it seem more reputable but instead it’s hurting their reputation with me because it’s a blatant lie. As for the developer of the Profit Replicator App, the news is just as disappointing. Michael Griffin does not exist, he is a fictitious character created by the people releasing the system. You can see on the right-hand side that the picture is stolen from an unsuspecting man’s LinkedIn profile. 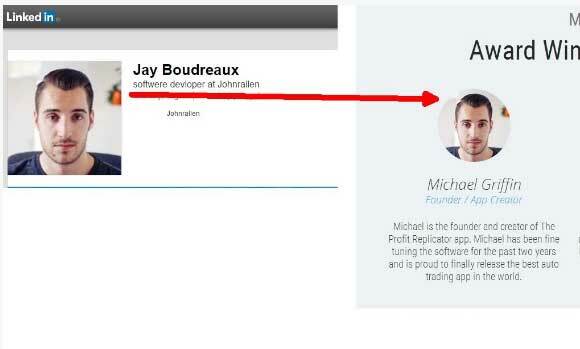 This all adds up because Michael Griffin has absolutely no reputation in the binary options market and a simple Google search verifies that. It seems like each element of the Profit Replicator App is just another handful of misdirection and deception. 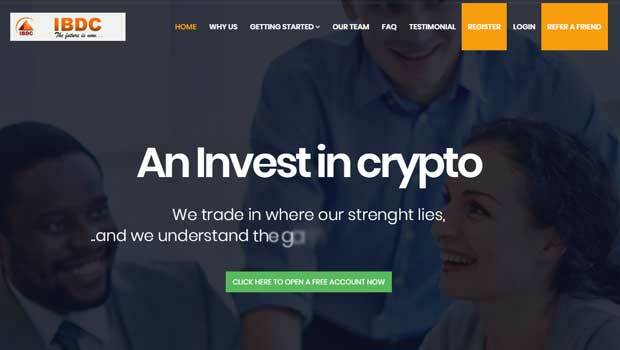 The testimonials are clearly being created by the developers of the software and they use fake testimonial images that have been used by many other websites in the past. It really seems like there is nothing trustworthy about this website whatsoever. Every time they admit more proof for us to view it’s easily dismantled. In the social media testimonials section we have the opportunity to verify if any of these tweets were ever sent out. It takes less than 3 minutes to see that all of these tweets are also fake. I would continue with this review and make it longer but it’s very clear that the Profit Replicator App developers can’t be trusted. As I scroll through the sales page all I come across is discrepancy after discrepancy. There are so many issues and deceptive marketing practices being used. I hope someday binary options developers understand the marketplace better and realize that telling the truth and providing real results is much more fruitful. Although that is probably asking too much because none of these developers are actually real traders. Thanks for stopping by and please feel free to leave your comments and questions under the article. 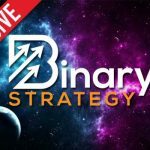 I also urge you to send me an email by going to the contact page if you ever need any help with your binary options trading.